Which would you think generates more passion in Georgia, the University of Georgia's football team or the Civil War? It's probably a tossup up depending on the time of year and one's ancestry. To say you are OF a particular locale in Georgia means one of your ancestors served the Confederacy in the Civil War, or the War of Northern Aggression, or the Unpleasant Times. Take your pick. The higher his rank the more bragging rights you have. Otherwise you would probably be considered to be FROM that locale no matter how long you've been in residency. However either topic gives Georgians a sense of place. Those who arrived after 1865 can still be passionate about UGA's bulldog while the well documented conflict of 1861 – 1865 is definitely a major tourist attraction. We started our trip east of Atlanta in Athens, GA, and followed the northern portion of General Sherman's "March to the Sea" (Savannah) after the burning of Atlanta. 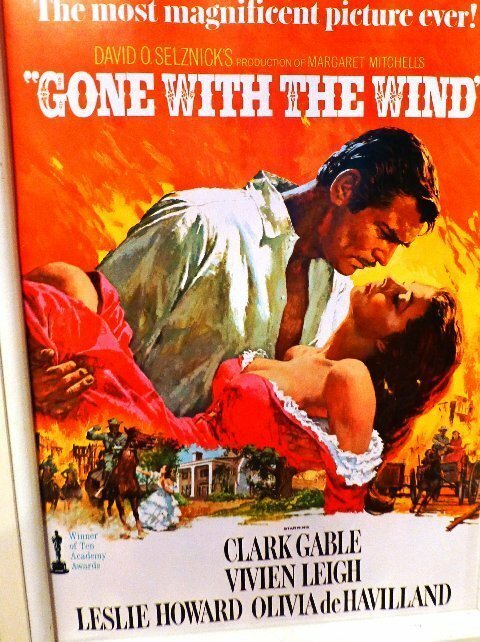 Who doesn't know about Margaret Mitchell's epic "Gone With The Wind?" Many of the towns along Sherman's route were spared the fate of Atlanta. An amazing number of stately antebellum houses with their multi-columned porticos remain and some are still occupied by the descendants of the original owners. Available at any Visitor Center and in many shops is, "A Guide to Georgia's Antebellum Trail." This illustrated, informative guide takes the visitor on a hundred mile town-by-town tour of Georgia's history and the mansions from Athens south to Macon. While "antebellum" architecture gets the most attention, perhaps because of its tenuous connection with southern belles in billowing hoop skirts of the pre-war South, the area's architecture is much more diverse. For lovers of historic, elegant buildings also look for Federal, Victorian, Greek revival, Queen Anne, Gothic Revival, Folk Revival and mixed hybrid styles. Smaller structures from the 1800's and early 1900's are much in evidence in charming downtowns where modern goods are sold from historic buildings. Of course there are the ubiquitous antique shops whose offerings pale in comparison to the contents of the area's houses where "antiques" are much treasured and still in daily use. The locals do not dwell only on the past though it is good for business. Our whirlwind 4-day 3-night trip started late one afternoon in Athens, GA, home of the University of Georgia (GO BULLDOGS). In addition to the college scene, this hip eclectic city offers visitors historic architecture, museums, impressive gardens, cool cuisine, and an active night life in a uniquely urbane culture. This city really deserves its own article. But it was time for us to move on. A 10 minute drive from Athens took us to Watkinsville, a town known as the "Art-land of Georgia" for being home to more artists per capita than in any other county in Georgia. Our overnight stay at The Ashford Manor B&B introduced us to Dave Shearon and Mario Castro who have owned this 1893 Victorian style manor house for seventeen years and have turned it into a major destination. It is not your standard B&B. The uniquely furnished and decorated inn sits on 5-acres . The property hosts weddings, art fests, "Concerts on the Lawn," "Shakespeare in the Park" and many other events throughout the year. Their motto is, "…where the EXTRAODINARY is every day" (http://www.ambedandbreakfast.com). Leaving Watkinsville, the drive south was through rolling farm and horse country with glimpses of houses and barns dating back to the late 1800 and early 1900's. Almost any point along our route could easily qualify as a backdrop for a Norman Rockwell painting. Stopping in the tiny, historic village of Rutledge, we enjoyed lunch at Yesterday's Cafe and sampled their famous Buttermilk Pie. 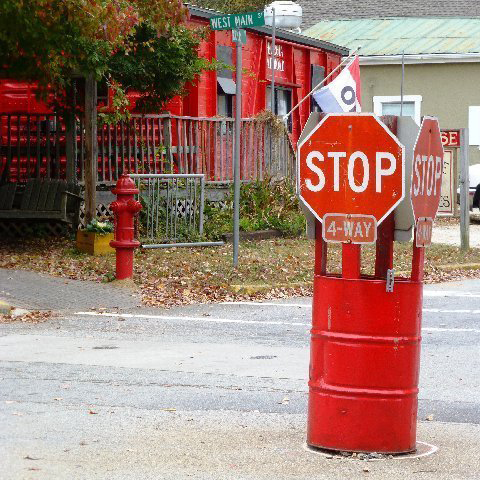 Outside the restaurant is the town's only traffic control device, a 55 gallon drum painted red with a STOP sign affixed to the top. We were told that this is only one of three such devices in use in the country. Continuing on to Madison, GA, named for President James Madison, we entered what many would consider the epitome of the old south with street after street of gleaming multi-columned homes surrounded by manicured lawns. Boasting more than 100 Antebellum and Victorian structures, Madison is ranked as having the second largest National Register District in Georgia. The historic district also features Greek revival, Queen Anne, and Folk Victorian and Gothic Revival structures. In times past, their historic cemetery was segregated with sections for white, colored and of course confederate soldiers. In what might be considered a gesture of detente, they claim to have two Union Soldiers buried there…someplace. We enjoyed a change of pace just outside of metropolitan Madison with a overnight stay at The Farmhouse Inn at Hundred Acre Farm (B&B). 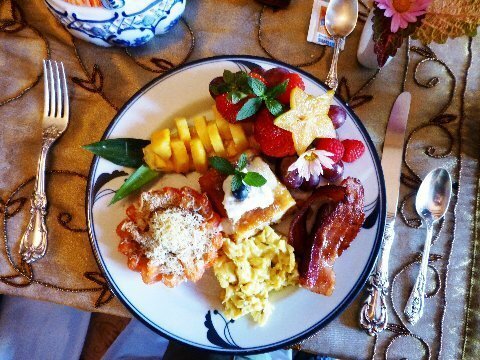 (More about Farmhouse Inn) This is not a formal or pretentious setting. It is a big comfortable rambling farm house with spacious rooms and a mixed bag of farm animals just across the driveway. Outdoor activities for guests feature excellent birding, hiking and bike riding trails, kayaking and fishing on the property's large adjoining lake. Yes, the inn is on 100 acres. The property is perfect for retreats, family reunions and other events hosting up to 200 guests. (www.thefarmhouseinn.com). Departing the next morning for Eatonton, we arrived in a city proud of its literary past. 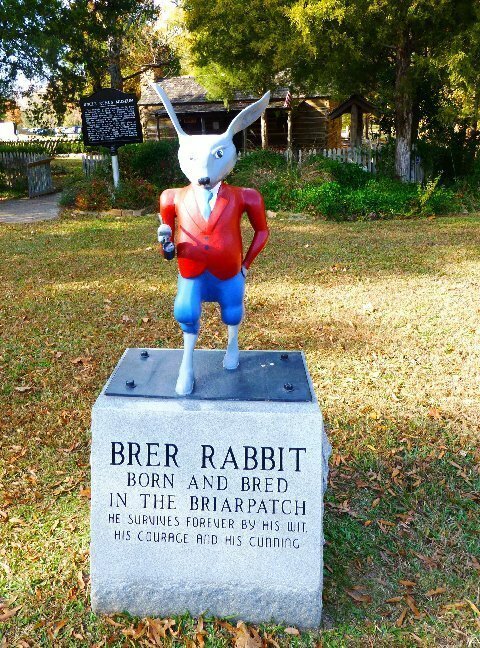 This is where Joel Chandler Harris gave birth to Br'er Rabbit and the Tales of Uncle Remus. A museum dedicated to him is appropriately housed in former slave quarters similar to the ones in which he listened many evenings to the stories which were the inspiration for his stories. 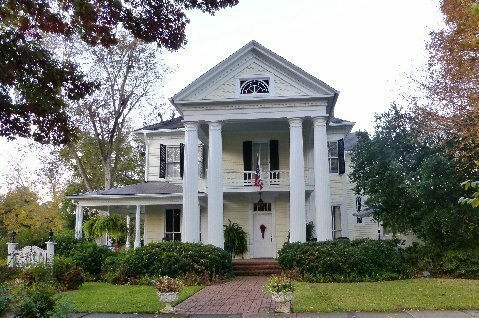 Our final overnight was spent in Milledgeville at the elegant award winning 1890 Antebellum Inn (B&B), (www.antebelluminn.com). The city of Milledgeville was the first capital of Georgia and retained this exalted position for more than 68 years in the early 1800's. Our trip covered a large geographic area in a relatively short time. There were too many interesting and fun things we saw and did to properly do justice to all of them in this brief article. This is an area I plan to revisit in the future at a more leisurely pace to more fully absorb its ambiance.